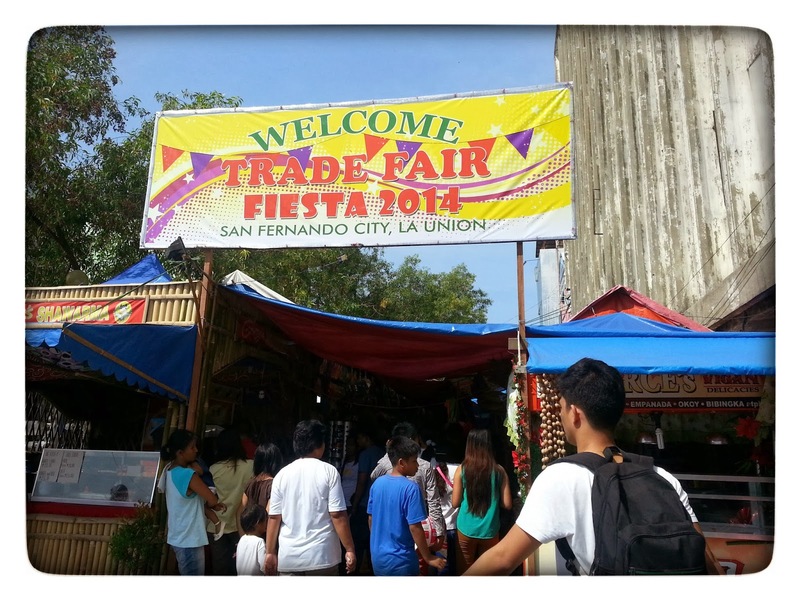 Our Weekend Family Bonding Was Spent at the Trade Fair of San Fernando. It was around ten in the morning and the place was already a tad crowded. We wanted to buy some items for our home at bargain prices. Who doesn't want items on sale? 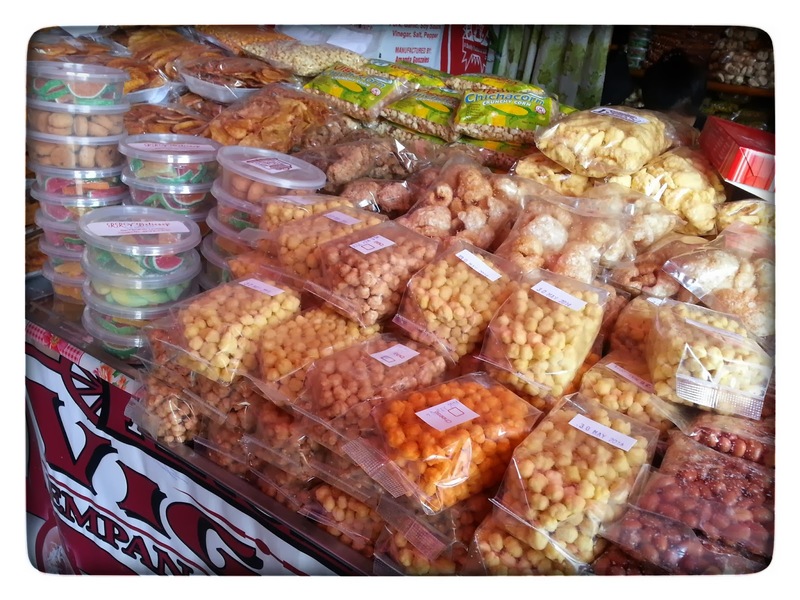 The first stall we saw was that of native delicacies! As you can see, the vendor was still preparing her display area- which was a good thing for me otherwise those yummy foods could have ruined my diet! hmmmmm those tasty crunchy nuts and corn bits and sweets specialty of Vigan and their soft and chewy bibingka for me are simply the best! 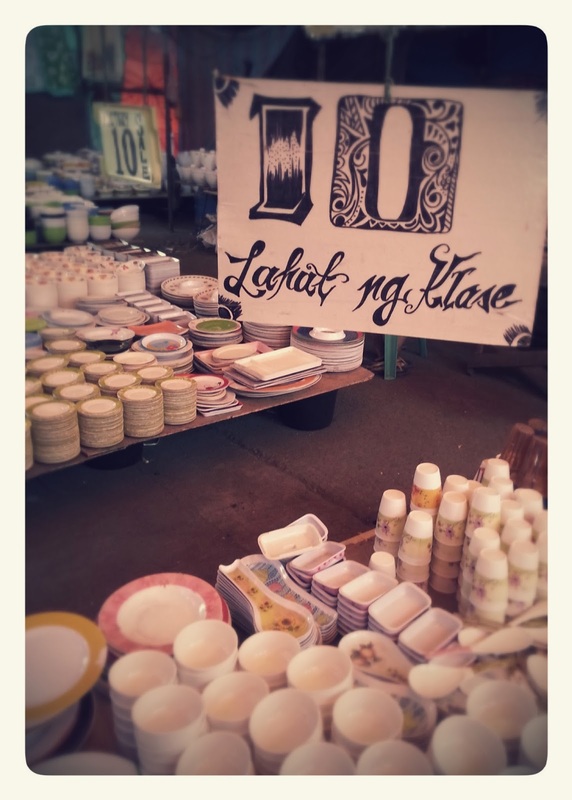 I could recall only two kinds of food vendors in the fair. The other stall sells fruit shakes and fresh muffins. 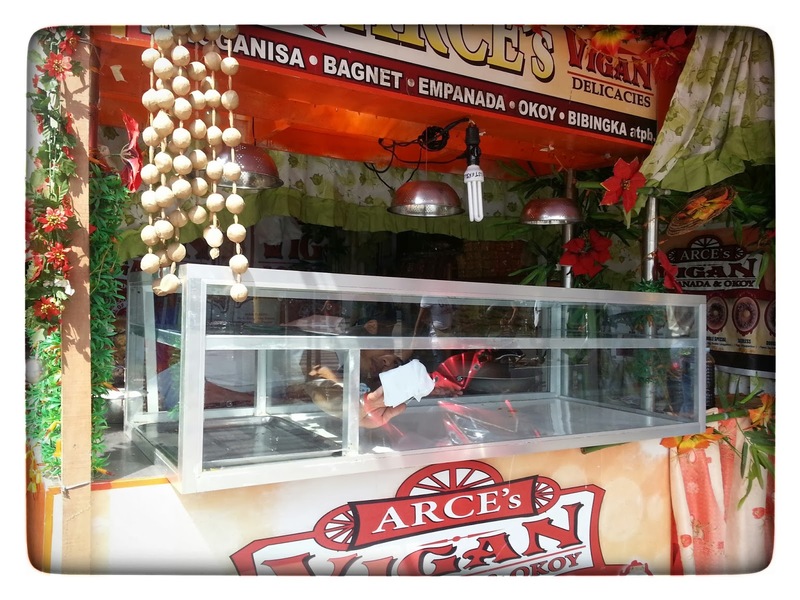 If you are missing San Fernando's street foods and missed my other post, you might want to read it here. Majority of the items for sale are clothing and housewares. 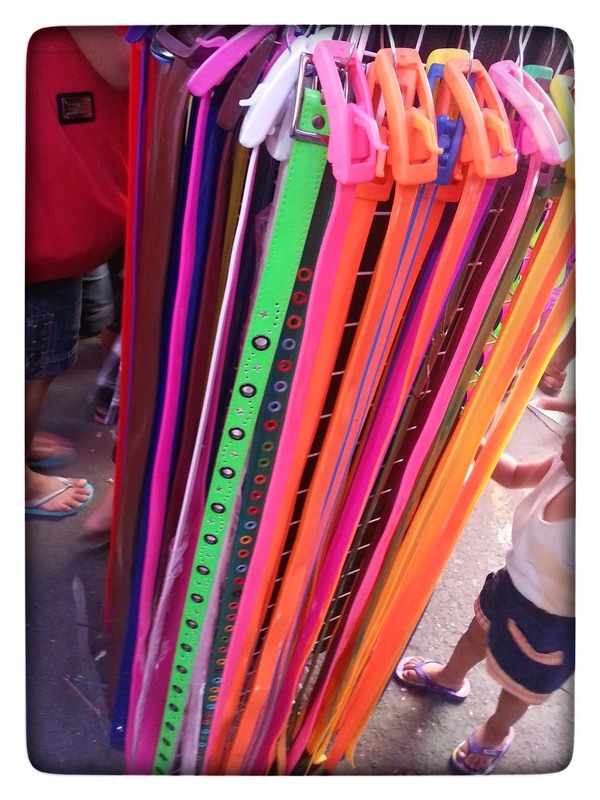 The above colorful belts caught my attention. I want to buy a pink and a blue one to match some of my outfits. I didn't buy anything this morning. The hubby took the lead and paid for everything, yey! 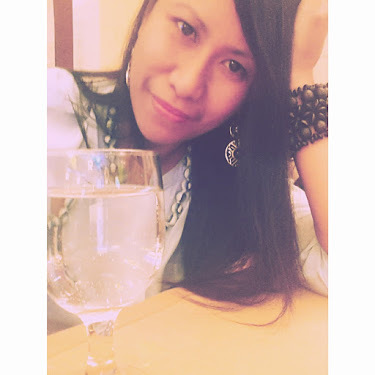 I simply took photos with my ever reliable smartphone. 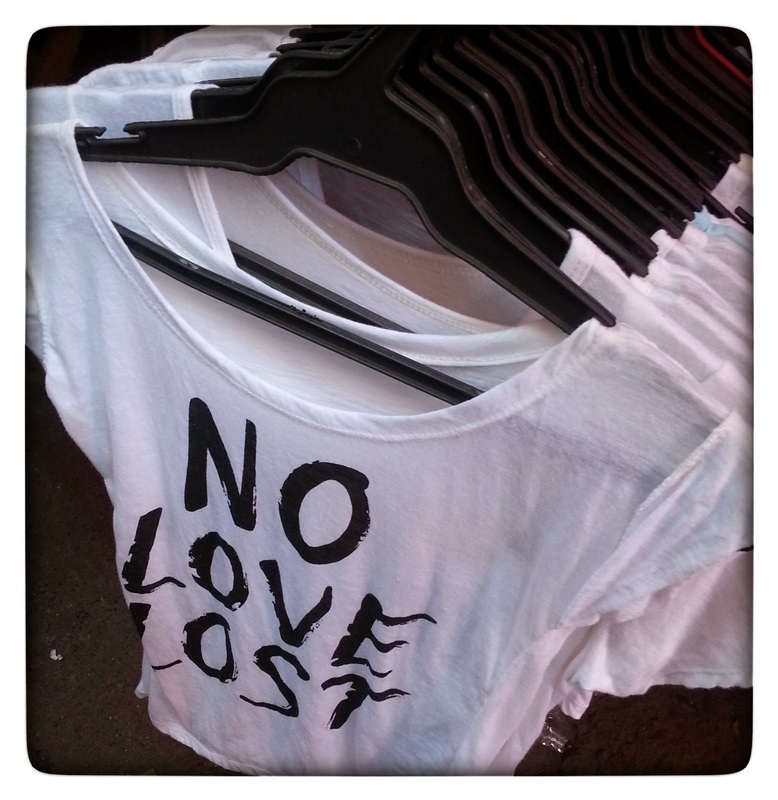 hmmm "No Love Lost"- sounds intriguing eh? This summery shirt is sold for less than 100php. I guess they have no size for me though, bad. What I do not enjoy about clothing for sale is that more often than not, nothing fits me hahaha...I still have a lot of healthy, balanced eating and adequate exercising to do! Perhaps next year I'd be medium sized! I love the purple shoe! The hubby bought me a crocs-like slipper to use at home. I chose the camouflage design. Now those cutie slippers found their way to a nephew's little feet! 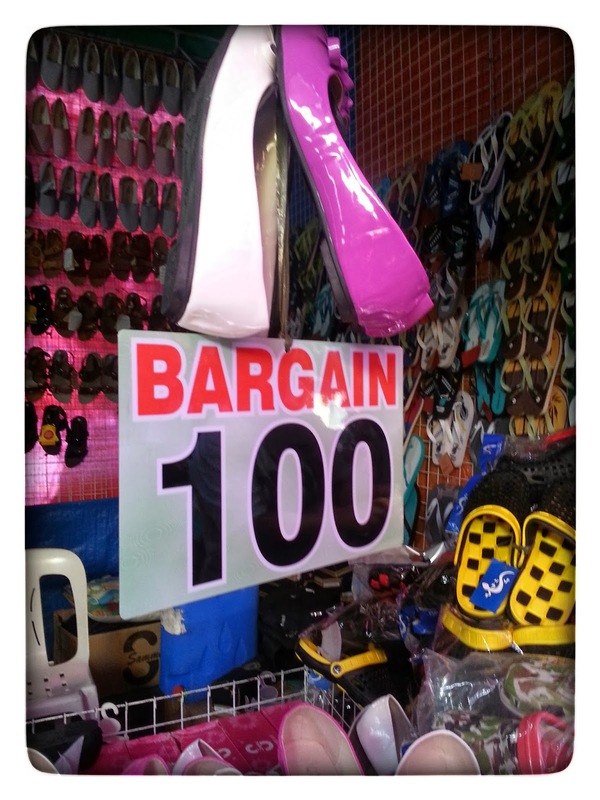 A pair costs only 50 Php. 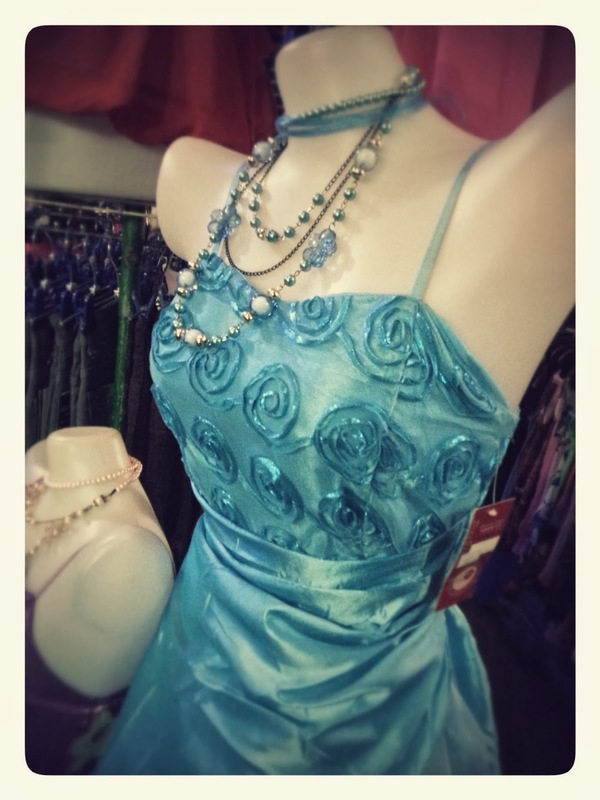 A lady with graceful bodily movements, flawless make up and a sweet personality would look stunning wearing this gown and those non-expensive accessories. It is the way we carry ourselves that matter! For awhile my mind wandered to my teen-age son's upcoming Prom Night! You can say I am more excited than him. I wonder what his prom date would be wearing! 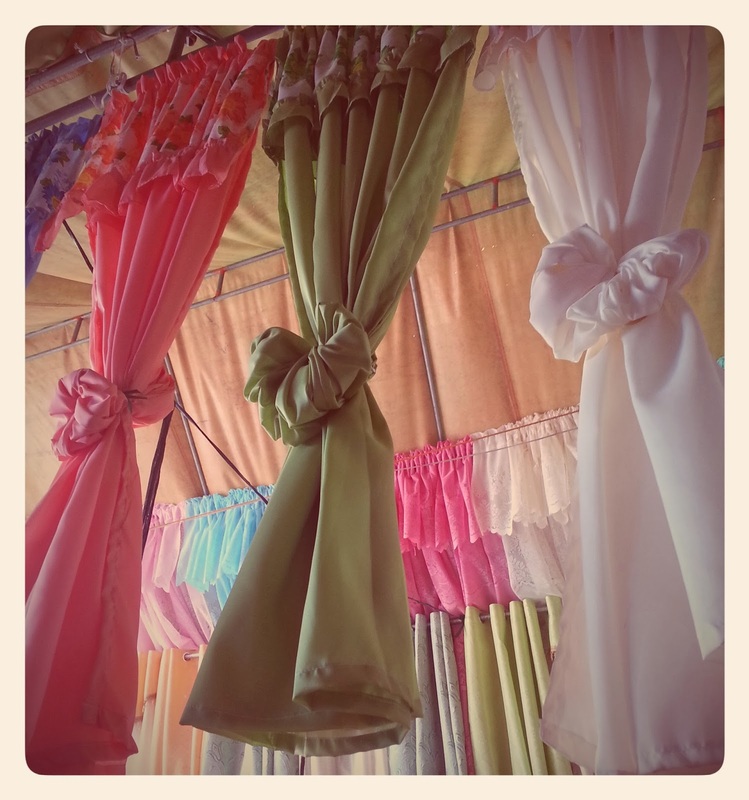 Curtains are sold at 2 for 180 Php. I saw a more intricate design but failed to snap. It was quite a feat keeping up with our shopping leader. I must admit when it comes to shopping it is the hubby who knows better. Hmmmm spotted the colorful thingy below which brought a naughty smile on my already oily face. The polka dots bra look perfect to wear for New Year's Eve eh? I wonder whether those are sturdy enough though to make it to January 2015 hehehe. 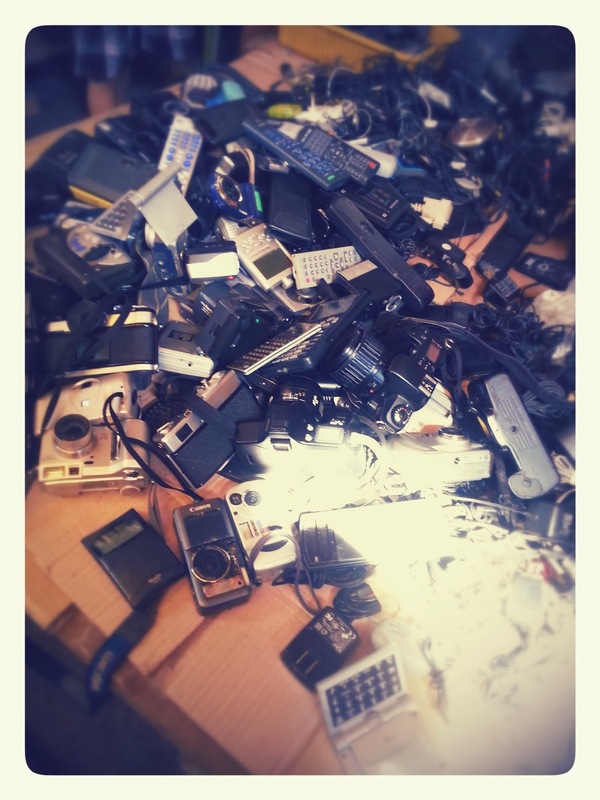 I was surprised to see those worn out gadgets! Do you think they are still working? A second hand throw away digi-cam could come in handy! 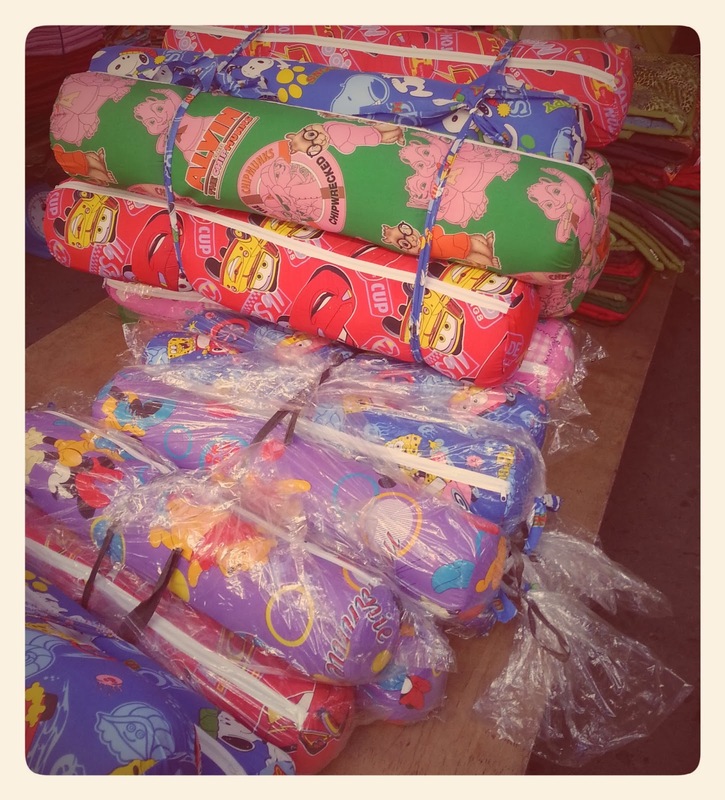 I love those cartoon character designs on those pillows! I used to have one until I was in college. Hmmm I think am gonna purchase one on my next visit to the fair. 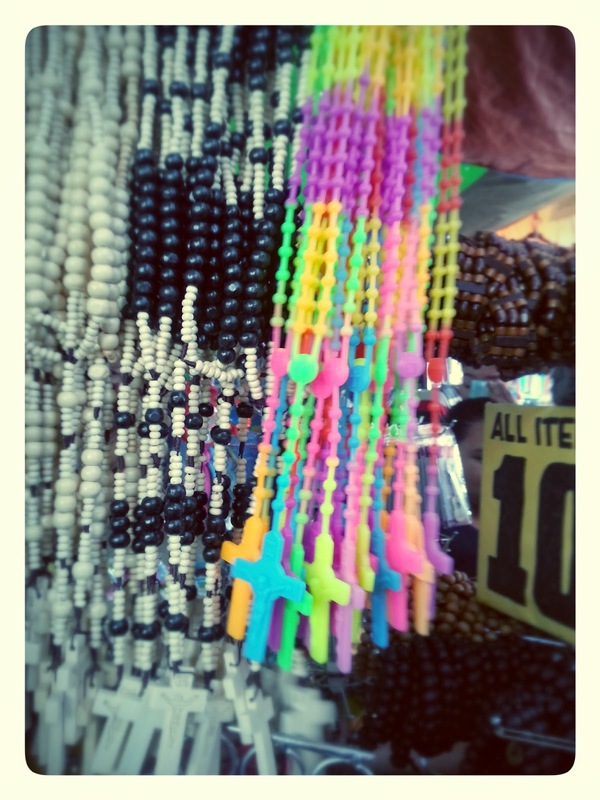 These rosaries are long enough to wear as necklaces. 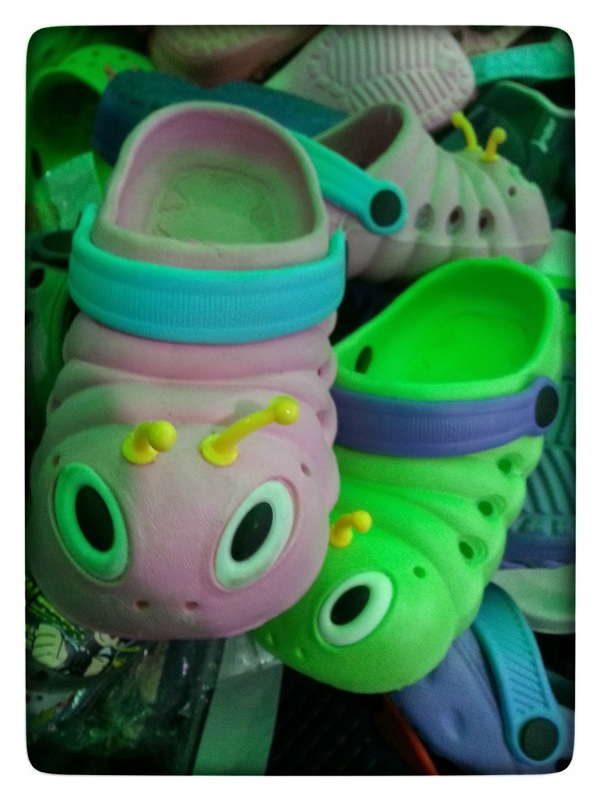 The colored, glow in the dark ones attracted the kiddos. 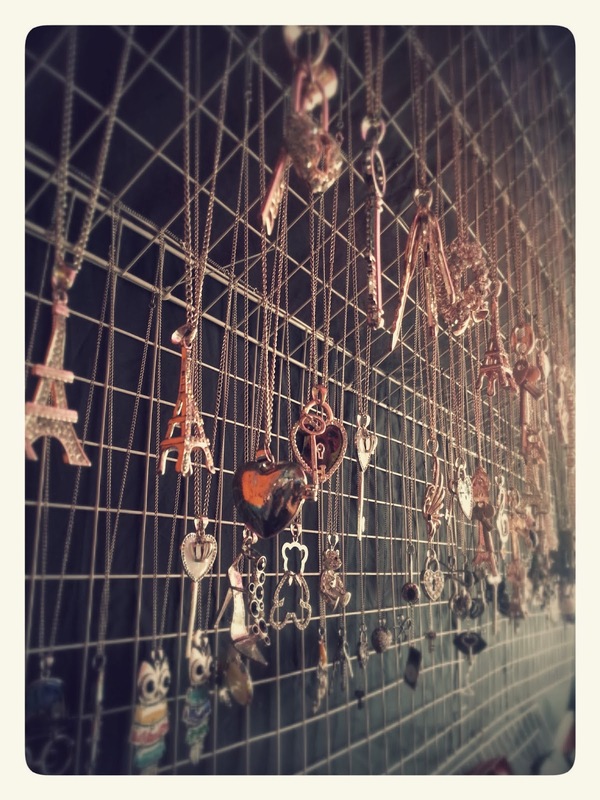 Most of the accessories in the trade fair are at 10Php so your 100 Php would go a long way. There are even posters for sale! 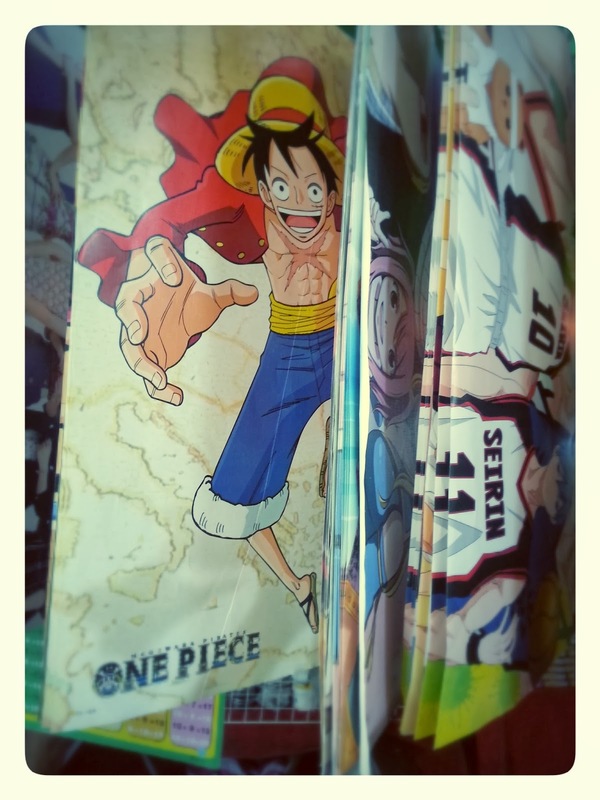 To One Piece fans out there, grab one to display on your walls. and I think there are less stalls this year. All in all the hubby bought two pails, five clipped hangers, a strainer, a plastic food cover, four pairs of adult slippers, two pairs of kiddo slippers and spent 660 Php. 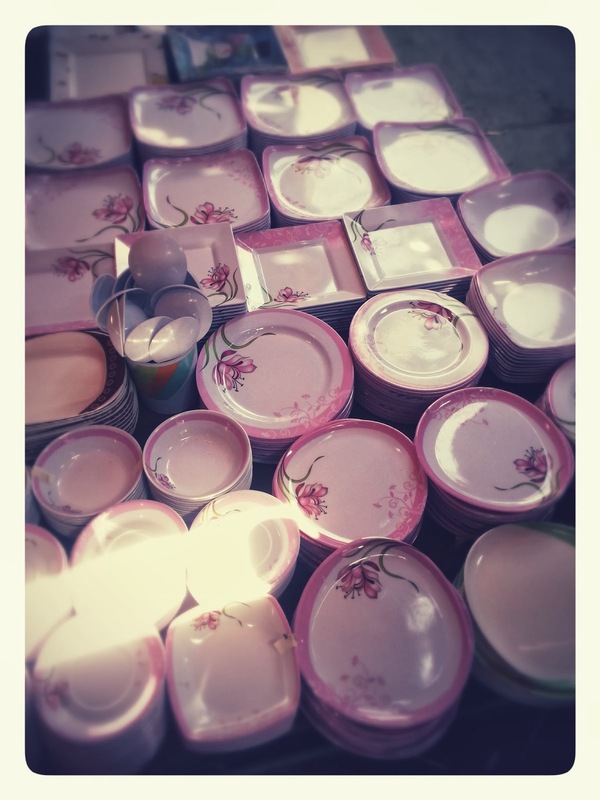 He wanted to buy some plates and glasses but we didn't spot ones to our liking. We then proceeded to the wet market to buy some fresh seafood! The hubby did all the shopping while I merely took photos- talk about me being a spoiled wifey at times hehehe. Stay tuned for our wet market adventure and his seafood recipe! 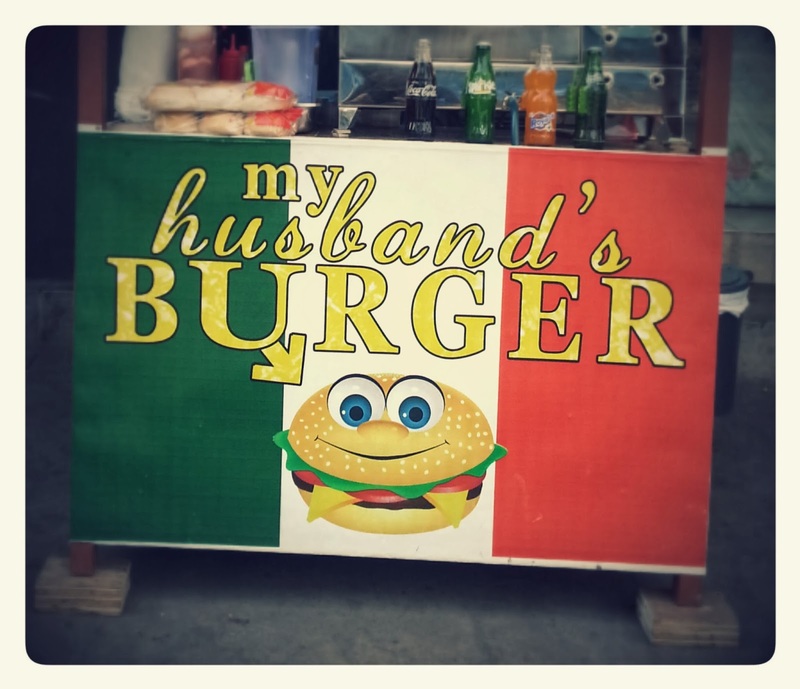 The photo below is outside the trade fair area- the name of the burger stall caught the family's attention while we were on our way to our parked car. for free I certainly wont! for a fee? let me think that over wehehehehe....answer on my next post! Happy Weekend One and All~ Advanced Happy Heart's Day!